Summary 0009763: Dwarf missing upper body, but still alive. Description I recently started replaying Dwarf Fortress downloaded the lastest version and made my first fortress in a small world. 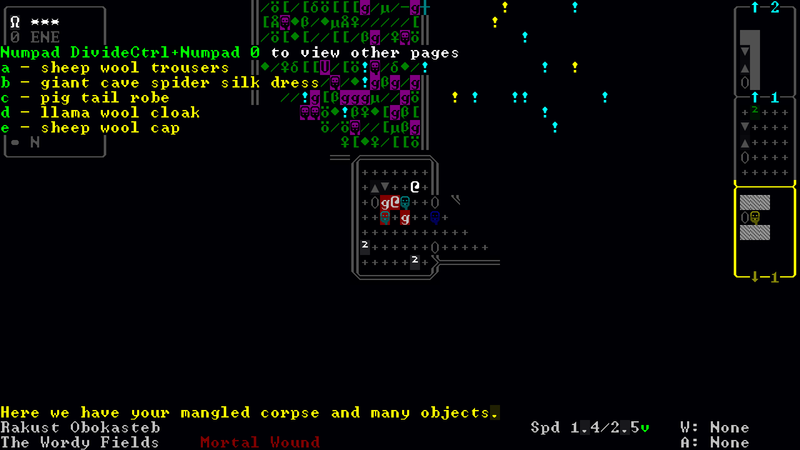 During the first migrant wave, a dwarven Mason named Rakust Obokasteb appeared as wounded (flashing white with a red +). On checking his wound, he was blind, unable to breath, couldn't stand and couldn't grasp, so I checked his description and it was stated that his Upper Body is missing. But despise all the troubles, he's not dead. He's also "shaken after suffering a major injury". The dwarf doesn't have any families or friends, for a 71 years old dwarf in the year 250. He can still hold a cup but he's unable to drink, so at the moment he's stuck on a barrel slowly dying of dehydratation. Maybe he's actually a cockroach man? Can you upload a save (ideally to http://dffd.bay12games.com/ [^])? These sorts of things are pretty hard to reproduce/fix without one. It's been 2 months in the game since he's still alive (he arrived during Malachite and it's Limestone in the save) and still trying to get a drink. 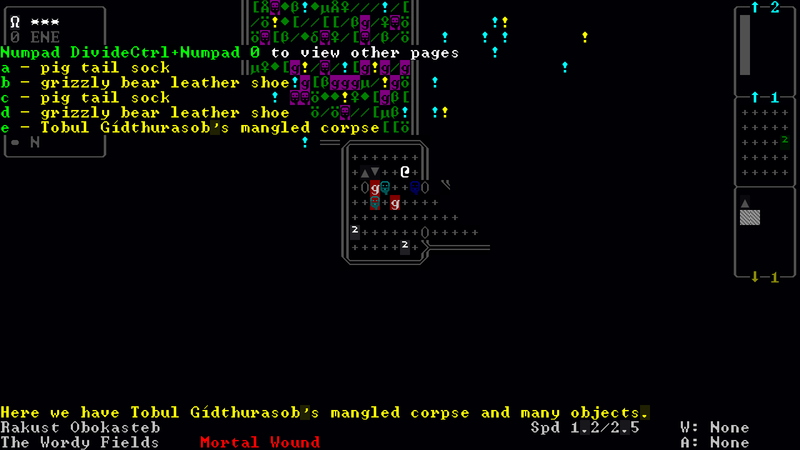 The issue with injured dwarves holding a cup/mug/goblet forever and slowly dying of dehydration is a separate bug (Bug 9440). Didn't see how old this was but had to check it out. It records that gob as his one kill, and lists him "throwing them against an object, causing death" as well. Guess he got drafted as a migrant right when this happened so he set out to your fort before dying? I was able to sit and look around and stuff when I took control of him but couldn't actually do anything besides pass time so I ghosted myself to go check out the fort. But I wonder, why his remains didn't died from choking a few frames after arriving? He stayed for a long time while having the Winded status. Was it not calculated because it happened before he arrived?